…King of the Wild Frontier! That is the title of a Walt Disney TV miniseries about the exploits of Davy Crockett that starting in December of 1954 and became a full-length movie in 1955. The song associated with the series and movie, The Ballad of Davy Crockett, hit #1 on the Billboard Chart in 1955. The lyrics were on every kid’s lips (well at least boy’s lips) in 1955 and for a few years after. The Disney film starred Fess Parker as Davy and Buddy Ebsen as his sidekick, “Georgie” Russel. It was perfect for the times and just the kind of hero/adventure story we kids loved. It was so successful that Disney produced all manner of Davy Crockett licensed items to be snatched up by toy-hungry kids all over America. It was one of the first and most successful licensed marketing efforts of the times. Probably the most ubiquitous items for sale were the coonskin hats like the one Davy wore in the series and movie. Of course, I had one, and so did Manard Lagasse as well as a few others I spoke to at church this morning. We wore our coonskin hats everywhere we went, even in summer. And they were hot in summer, but we were playing Davy Crockett and needed the proper attire for the part. I can remember my dad talking about those hats. He used to say, “Now we know what happened to all those coonskin coats that were so popular before the war.” For the unenlightened, long coonskin coats were popular on college campuses in the twenties. 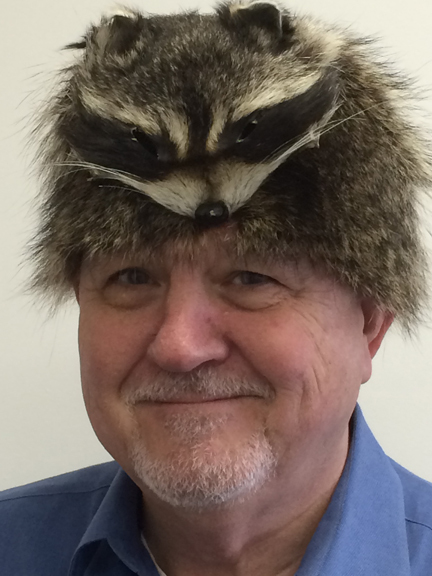 Oh, and the picture if of me wearing a coonskin hat? No, it isn’t the one I had when I was eleven; this one is newer. Remember me mentioning I caught that dirty, chicken-murdering raccoon? I said I relocated him. Well, I was being truthful! I remember it well. Buddy Epson, later star of the Beverly Hillbillies, was his sidekick. We all had coonskin caps but Fess Parker was screwed out of the proceeds. His contract called for a percentage of the merchandising sales from Disney’s company but that this was voided by his contract being with Walt Disney personally rather than the company itself, costing him millions of dollars from the runaway bonanza of Crockett merchandising. Did you know Buddy was originally slated to play Davy? When Walt saw Fess in buckskins, he said he was the one. Buddy became the sidekick.